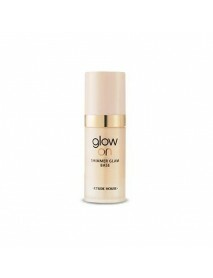 Glow On Base Shimmer Glam＇Product DescriptionPrism glowing pearl base makes skin look hydro-radiant as if having lit the face with reflected light.＇How to use1. Lightly shake before use.2. After using basic skincare products, and before the face make..
Mascara Remover Sample＇Product DescriptionThe mascara remover easily removes even waterproof mascara.deeply cleanses and removes impurities onto the lashes.It can also be used as a lip makeup remover.＇How to useDab the mascara remover on a cotton pad..
Cho Bo Yang BB Cream Samples #21＇Product DescriptionThose with sensitive skin Those looking for a makeup product with the skincare benefits of oriental herbsThose looking to maintain the firmness and elasticity of skin＇How to use1. Dispense the desir..
Cho Bo Yang BB Cream Samples #23＇Product DescriptionThose with sensitive skin Those looking for a makeup product with the skincare benefits of oriental herbsThose looking to maintain the firmness and elasticity of skin＇How to use1. 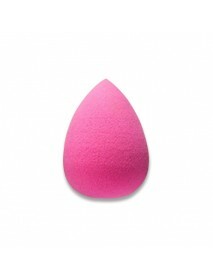 Dispense the desir..
Clear Watercolor Velvet Cheek Waterdrop Sponge＇Product DescriptionA sponge that can naturally produce a blusher on the cheek.＇How to useApply it to the sponge at first, and then gently dab it along with the apple zone area.＇Capacity - 1ea..